Marie Lu has got to be one of my favorite authors! She dominates in every world and genre she tackles and never fails to deliver well-rounded stories from start to finish. 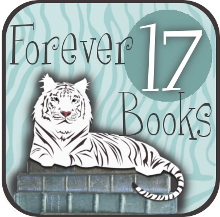 I’m so very happy to say that Warcross was another amazing book to add to my favorites! I have to admit I was slightly nervous heading in, something that easily dissipated early on. Sometimes science fiction and the technology within can get a little confusing and go over my head. Warcross has some super cool yet scary technology going on, yes, but I was easily able to pick it up and get sucked into the world. Basically, a device was invented that allows the wearer of NeuroLink glasses to slip a virtual world on top of reality. You basically have a computer directly connected to your brain. You can change the setting around you to look like you are somewhere completely else, from a famous city to something more fantastical. You can even store memories to replay or share as you wish, something I found particularly fascinating. This invention led to the creation of Warcross, an immensely popular virtual reality game allowing players to battle against each other in crazy game world simulations with the purpose of capturing the other team’s Artifact before they can catch yours. This story follows Emika who is a little down on her luck and desperate for money to survive. She is a brilliant hacker and uses her skills to hunt down criminals. In an act of desperation, she hacks into the Opening Ceremony Game of the Warcross annual tournament. When it all goes wrong she finds her life turned upside down as she is whisked away to Tokyo by the creator, Hideo, to not only join the Warcross tournament but to also secretly hunt down Zero, an unknown person who is trying to interfere in the games with a deadly objective. 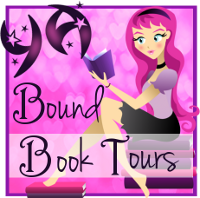 Everything about this plot was exciting – the games, the virtual world, the real world, the characters. Emika is very driven, pushing herself even in the wake of danger, especially to help those she cares about. She’s sort of badass with the technology and in real life as well. A romance brews with Hideo and I found it incredibly swoony. The secondary characters aren’t super prominent as Emika is the type to do things on her own, but the pieces of them we do get left me intrigued with hope of learning more in the next book. And the ending! Of course Marie Lu would throw the plot in a tailspin leaving me with so many questions and dying to get them answered! Honestly, the entire book was filled with excitement and it flowed at a great pace. It left me thinking about technology and where we could be heading in the future and if ours will look anything like this. It seems plausible, and that’s what makes it so cool and scary! 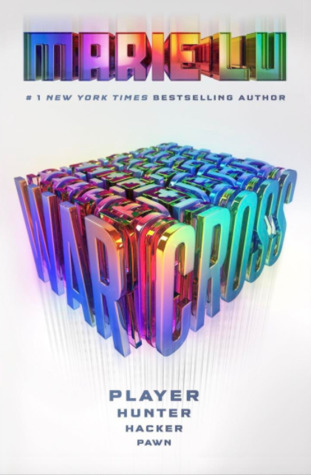 Warcross was so much more than I expected and definitely one to pick up! I agree with any and all praise for Marie Lu. She is amazing. I am so happy that this book is getting rave after rave, because two of my other anticipated books have not been so lucky. Great review! Oh man, that’s always a huge bummer when highly anticipated reads disappoint. I hope you will enjoy this one! Lovely review and so glad you enjoyed it as much as I did! I hope you get around to it! I’m glad to see that you ended up enjoying this Sara, when I first heard about this book, I don’t know why I thought it wasn’t my sort of read, but since more and more praising reviews are coming through, its making me more excited to give this book a go, also I’m always a fan of fast paced books! Fab review! I really wasn’t sure either. If it was by anyone else I may have passed it by but I’m so glad it was by Marie Lu and something I really enjoyed! Seriously everyone is loving this book, and it’s making me want this bad boy so bad! Awesome review it was the last straw for me, I am getting this book! EEP! I hope you will love it too! I’ve seen nothing but positive reviews for this one so far. I’m glad to see that you liked it too. It’s not my usual type of read but I may have to eventually check it out. Great review! So I confess I don’t generally like the type of stories with weird and scary technology and like games and virtual lives and things….BUT THE HYPE FOR THIS IS SO REAL AND I’M SO INTRIGUED!! I feel like I’m going to have to try it someday just to see. So glad you loved it!! That’s how I felt! I’m not really much of a gamer or super into sci-fi but this was a must-read and I’m so glad I did! I’ve heard nothing but amazing things about this book so far! I loved reading your review, and I’m super glad you’ve had a great reading experience. I can’t wait to get my hands on a copy of this! I hope you get a copy soon! Marie Lu isn’t an author I’ve read – *I know* – but I am curious about her stories. Especially since she seems to earn such high praise. This book is outside my usual norm of genres/styles, but my interest won’t be crushed. Glad to know it’s a good read! So glad you loved this one! I was kind of one the fence about reading this just because this isn’t usually the type of books I read. Everyone has been absolutely raving about this though so I’m thinking I ought to give it a shot. You make it sound really good! I’m so conflicted about this book! I’ve had it for months but something about it keeps holding me back. Maybe the hype, but also k think everyone keeps saying how there will be a love triangle – ugh. I hate love triangles. I’m waiting for a friend to finish the book, to see if I should bother. I hate not reading review copies, but I’m really not sure about this one. I’m so glad you liked it! In all honesty, it sounds awesome.